Notice/Caution: This game ONLY WORKS with an Emulator on a PC. Almost all CARDS are freezing at the same point. 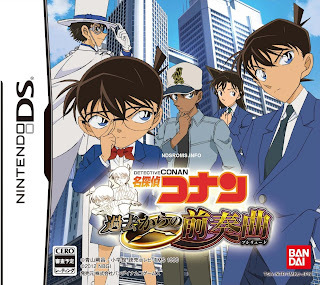 Note: Copy any of the above Meitantei Conan - Kako Kara no Prelude (Japan) rom download links and paste it into your browser to download. Use Patch (Chinese? ), then work on Some Wood-based cards. This time, DSTWO Card loses. This Cart is NOT work in DSTWO. Me too, frozen at start point. is NOT work correctly, too. (Stopped at same point). Oh! on DSTWO , it works fine ! Anti-Piracy mode changes from ON to OFF. Then, Clean Image works fine. Come on, TEST TEST TEST ! !